Claimed when Pocket Memo purchased. Up to 10% extra margin available. Call your account manager on 020 8296 7066 for more details. 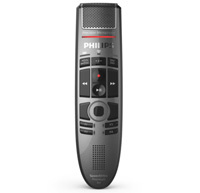 *Purchase a Philips PocketMemo voice recorder (DPM6000 or DPM7200) or a PocketMemo dictation and transcription set (DPM6700 or DPM7700) between 1st January and 30th June 2019 (inclusive). For more details visit- https://www.dictation.philips.com/freedock/. Offers subject to availability. Terms & conditions apply. Philips Dictation is the driving force in voice technology for over 60 years, developing ground-breaking products that turn speech into text. Philips outstanding digital voice recorders, innovative speech recognition solutions and dictation workflow software improve productivity, allowing busy professionals to work as efficiently as possible. We believe in the power of simplicity. Our speech to text solutions save you time and enhance your daily business life by improving your document creation processes. Our outstanding reputation for quality and reliability has made us the global number one in the professional dictation market. 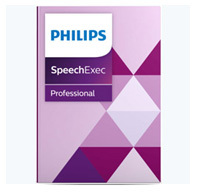 At Philips Dictation we are the only full provider of end-to-end voice to text solutions, ranging from professional digital voice recorders right through to advanced dictation workflow software and speech recognition services. 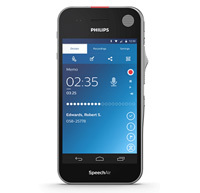 The benefits that the Philips SpeechLive speech recognition application offers for the Board’s lawyers, who produce up to as many as 2,000 statements a year, are indisputable. The Walton chose the Philips Pocket Memo DPM8500 recorders, which offer 256bit file encryption, PIN access, and USB mass storage protection, ensuring the Walton Centre could meet its Information Governance targets. Switching from analogue tapes to digital document creation. 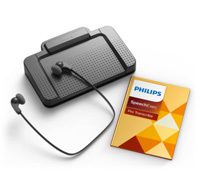 Talk to our experts on 020 8296 7066 for more on Philips dictation systems.